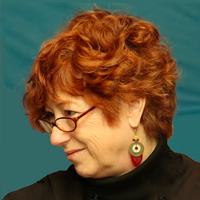 Ms. Verbeten is a project consultant, facilitator, and trainer of facilitation methodologies. With 30 years’ experience in health and social service operations she has deep experience in operations management, performance improvement, workflow redesign, data gathering, organization development, strategic planning, policy and program development and change management. As a county level team leader in social services for the state of Kentucky, she developed partnerships with other county agencies to improve service coordination for frail elderly and vulnerable families. As statewide manager for social services programs for the aging, she teamed with health services and health planning colleagues to develop innovative designs for supporting frail elderly in the community. These designs ultimately made their way into formal policy. She served at a professional level for eleven consecutive years in these government agencies. In California, Ms. Verbeten’s collaborations with California HealthCare Foundation, Health Plan of San Joaquin, Tulare Foundation for Medical Care and others explored new approaches for supporting physician adoption of health information technology. It was during this work that Ms. Verbeten was introduced to Technology of Participation (ToP) facilitation methods. The success of these methods in helping these physician practices envision and create better results spurred her full-time commitment to facilitation in 2008. Ms. Verbeten has designed and facilitated sessions with community organizations, health care providers, state agency personnel, schools and state and local professional and advocacy groups dealing with issues of all types. Since 2016, Ms. Verbeten has served as faculty, co-developer and coordinator of Technology of Facilitation training for SNAP-Ed leaders throughout California through collaboration with the California Department of Public Health. Ms. Verbeten’s work experience and combined MBA and MSW degrees ground her interest in organizational design and performance. Her natural orientation to systems thinking and exposure to the broken systems in health care delivery have fueled great interest in process and performance management and process improvement. In addition to her health care focus, Ms. Verbeten works with nonprofit organizations and state agencies to improve operations, develop and implement strategic plans and facilitate discussion around complex issues. She has led start up and turn around operations and helped groups resolve conflicts to emerge re-energized and refocused. Ms. Verbeten has keen interest in data and finding the story it has to share. Through years of effort to help participants embrace data, she has strong skills in developing graphics to interest, engage, and invite discussion. Her study of one organization’s transactions data found deep and troubling underlying trends. Despite leaders’ embedded assumptions and distrust of data, the displays and graphics enabled belief and unified the leaders’ focus on revitalizing and rebuilding the organization. Ms. Verbeten has been a facilitator for twenty years. Recognizing the challenge of aligning staff and organizational goals, Ms. Verbeten embarked on specialized facilitation training in 2008. She has completed the full range of courses in facilitation using Technology of Participation® methods, has earned Certified ToP Facilitator (CTF) recognition based on a portfolio of her work and client evaluation, and has achieved ToP mentor trainer (TMM) status . She is a member of the ToP Network Curriculum Team (the body responsible for developing and updating ToP course materials) and actively trains nine ToP courses. Facilitator Training; Institute of Cultural Affairs (ICA) and ToP Trainers’ Network – Trained more than 550 facilitators in consensus techniques, group decision making, participatory strategic and action planning and participatory event design. Trained over 300 facilitators (national and international) in virtual facilitation techniques and processes. Has attained Mentor ToP trainer status and is one of 92 nationally certified ToP facilitators. Co-facilitation with Heidi Kolbe on Experience Corps. Co- facilitated sessions with multi-sector stakeholders (United Way California Capital Region representatives, School District Superintendents, Curriculum Specialists and American Association of Retired Persons (AARP) representatives) to develop strategic, implementation and monitoring plans for the roll-out program. Experience Corps Reading Mentoring Program successfully implemented in four Sacramento Region City School Districts (several schools in each district). First year results show good value to the schools, improved reading levels, high volunteer and teacher satisfaction. University of the Pacific, Benerd School of Education – Designed and facilitated two-day regional summits for the purpose of securing broad input into the design and launch of a special education baccalaureate and certificate program in partnership with area community colleges. Participants included representatives of California Department of Education, County Departments of Education, Delta Community College, Sierra Community College, American River College, area high school administrators and faculty, special education teachers, paraprofessionals and families of children with special needs. El Dorado Hills Community Services District — Designed and facilitated a planning process for the EDHCSD Board to develop specific goals for the upcoming year and strengthen service delivery processes. Inspire School of Arts and Sciences – Designed and facilitated a strategic planning process to direct blueprint development of a new campus with structures, curriculum and culture that positions the school as a hub of learning for the community. Ronald McDonald House Charities – Northern California – Designed and facilitated a board retreat focused on expansion of its capacity to support additional families in its Sacramento facilities. St. Vincent de Paul – Designed and facilitated a one-year plan to increase its membership, deepen spiritual commitment and educational opportunities, and achieve fund raising goals. Chair, ToP Network – Organized and facilitated operations of a volunteer based professional association composed of 180 ToP trainers and facilitators across the country. Designed and facilitated board meetings, task team meetings, and served as a liaison with the Institute for Cultural Affairs in the USA. Member, ToP Training Leadership Forum – As one of three representatives of the ToP Network, developed foundational guidelines in support of the ToP training program, facilitated discussion of program challenges and growth opportunities.